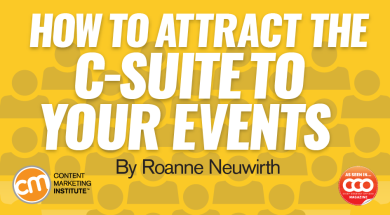 By repurposing popular posts and content on one platform for use on another, you can give your followers more of what they want. Find Your Popular Posts With the right tools, finding your most popular posts on Facebook, Twitter, and Instagram is easier than you might think. Facebook On Facebook, you’ll find the most popular posts for your business’s Facebook page by going to Facebook’s Insights tool. In Facebook Insights, click Posts to find the most popular posts on your Facebook page. Twitter Finding your top Twitter posts is even easier than finding top posts on Facebook. Now that you’ve identified your most engaging social media posts, here are five ways to repurpose the content in those posts. Heck, you can also post the image quote on Instagram, Facebook, and even Pinterest. You can repurpose popular tweets as image posts. Use Adobe Spark to turn a popular tweet into an image you can share on other social media platforms. 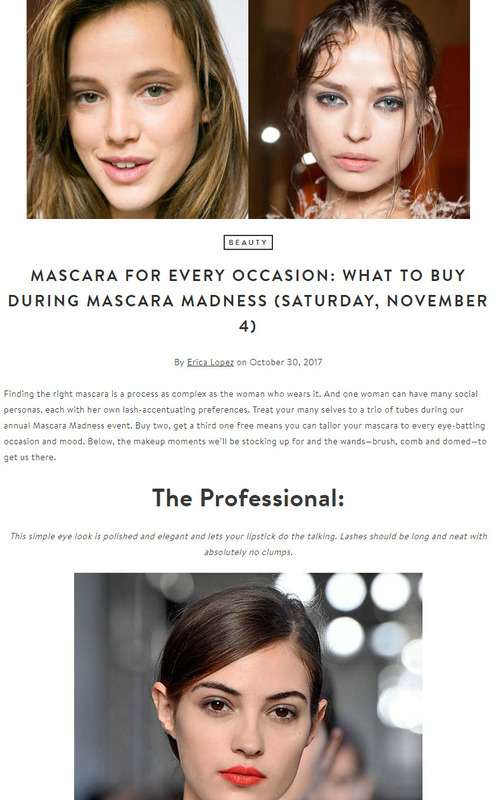 If you have a post like that among your top posts, consider writing a blog post that repurposes content from the Facebook post. 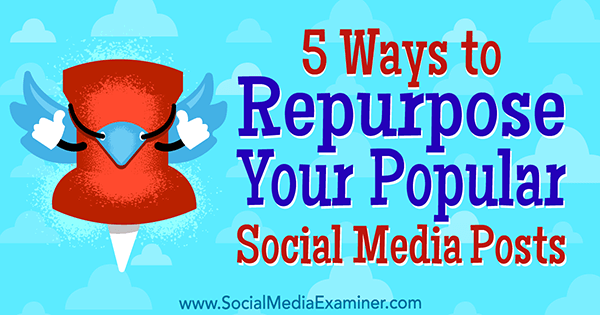 5 Ways to Repurpose Your Popular Social Media Posts by Bill Widmer on Social Media Examiner. 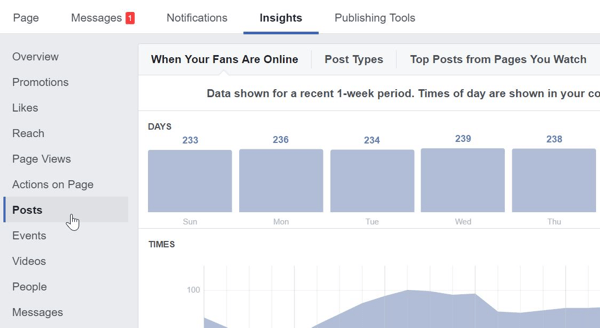 In Facebook Insights, click Posts to find the most popular posts on your Facebook page. 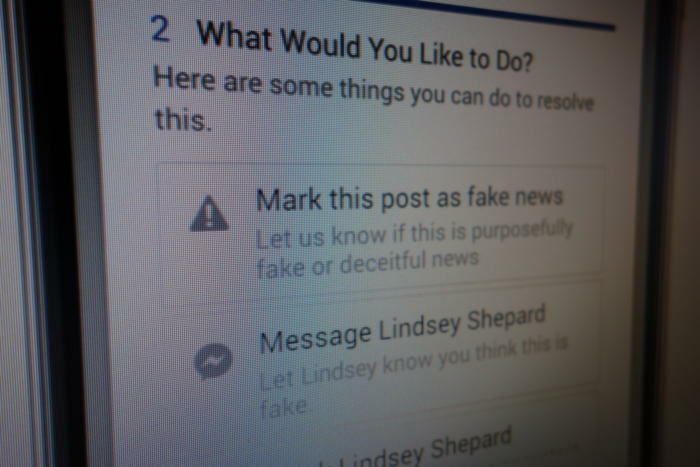 See all of your Facebook posts and filter them based on your needs. 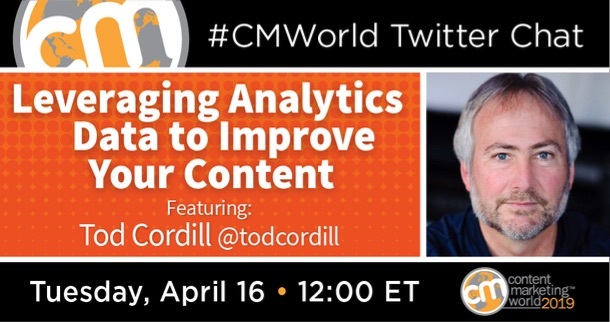 Twitter Analytics shows your top tweets, mentions, followers, and other analytics. 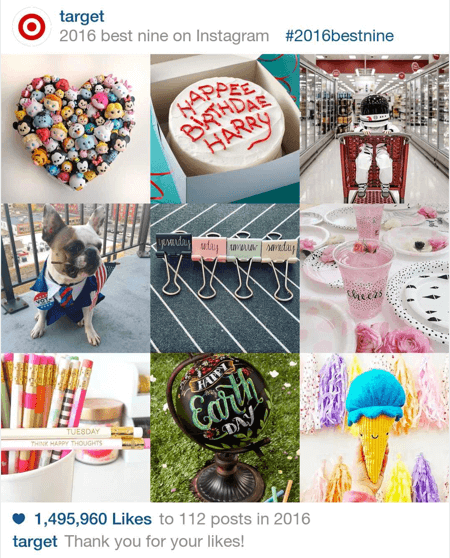 Here’s an example of Target’s top nine Instagram posts in 2016.